If like me, you are finding that the long winter (and supposed spring) has made your hands drier than the Sahara then you need to know about these two products. Crabtree and Evelyn’s Hand Recovery scrub will exfoliate away dead skin leaving your hands smooth and soft. It contains shea butter and lavender oil to leave hands moisturised too. 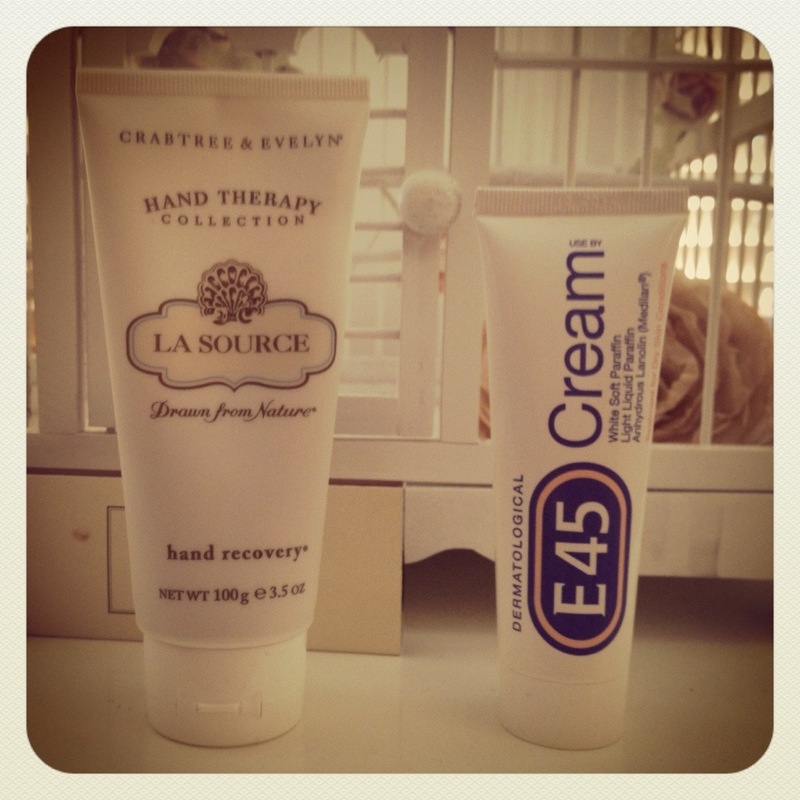 E45 cream is not glamorous but gets the job done better than most hand creams, even those ten times the price. And it’s not perfumed so won’t sting sore and delicate hands like others. It’s non greasy and sinks in quickly. And if you haven’t already, get yourself some cotton gloves. Just slather on E45 or your normal hand cream and pop the gloves on top. Ideally leave on overnight, or just for a few hours, and feel the results! Here’s some that look good.